Top: Omer Suleyman and Aliye El Huseyin. 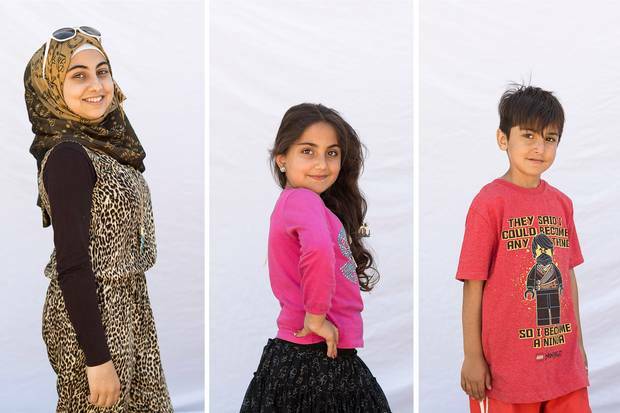 Bottom: The Suleyman children, from left, are Esra, 12, Marem, 8, and Suleyman, 6. Aliye El Huseyin, a Syrian refugee, arrived by plane in Toronto on Feb. 29, with her husband, Omer Suleyman, and their three children, after a 14-hour flight from Ankara and an equally long drive from Mardin, the city in southeast Turkey where they had lived since fleeing the catastrophe of Aleppo. Prairie home companions Erin Anderssen reports from Altona, Man., on the refugee experience in a small Prairie town, where the residents are helping Syrian families set down new roots in Canada, and learning their own lessons about resilience, preconceptions and making time for what matters. They were carrying everything they owned, in five 20-kilogram bags: 1,500 Syrian lira (under $10, all the money they had); three nested Syrian coffee pots and three kilos of Syrian coffee; four kilos of Syrian tea; a Tupperware container of her favourite seasonings (cardamom and mint and cumin and cinnamon and za'atar, because someone told her she'd never find them in Canada); a bar of Aleppo's famous olive-oil soap; her Koran, previously her grandmother's; 20-odd hijab headscarves, including her favourite white satin square with a field of red and blue and pink and gold flowers, and the black one she had worn, at the suggestion of her father, to prevent her being kidnapped, when ISIS moved into Aleppo; a tiny embroidered bag of Syrian soil; the family's few clothes; their Single Journey to Canada documents, and their Syrian identity cards; five cartons of Turkish cigarettes; a cracked cellphone containing the e-mail addresses and phone numbers of everyone she knew; a wrinkled postcard of Aleppo's Citadel, which has been around since the third millennium BC; a set of delicate white-and-gold Turkish coffee cups; and, tucked carefully away, the keys and deed to her apartment in Aleppo. It was a big, Syrian-style apartment, 2,100 square feet, with a second-storey balcony from which she watched the uprising in Syria become the civil war she fled. The apartment was still the centre of her psychological universe. One of her sisters, Iman, had lived there with her during the war. Her brother had a place across the street. The apartment had been looted, appliances included, after the family fled. But it was still intact, still standing, and she still owned it, and so part of her was still there. A photograph of the apartment was her screen saver (since replaced; it upset her daughter), and also her ID photo on WhatsApp, which all the refugee Syrians use to this day to stay in touch, no matter where they are. She messaged or texted her sister and family in Turkey and Syria countless times every day. But it was the apartment that seemed to remind her most concretely that she came from somewhere. 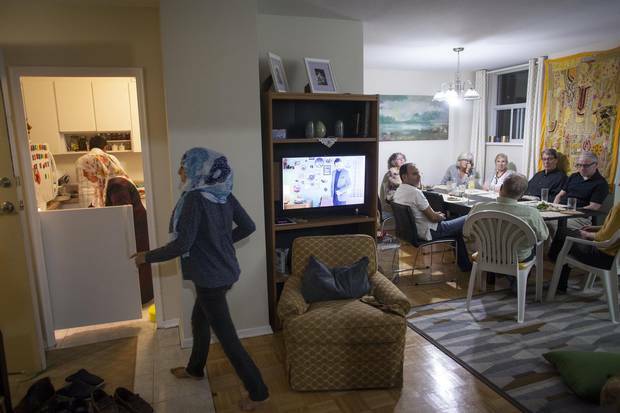 Three months later, on June 6, the first day of Ramadan, Aliye and her family have invited some friends to their new apartment in Toronto. It's a south-facing two-bedroom – you can see downtown, and the lake, and the CN Tower – albeit well under half the size of the one in Aleppo, on the 12th floor of a high rise on Lawrence Avenue East in Scarborough, a neighbourhood with a long-standing Middle Eastern population. Sixty years ago, when the people of Toronto were more monochromatic than they are now, the area was known as Lawrence of Arabia. 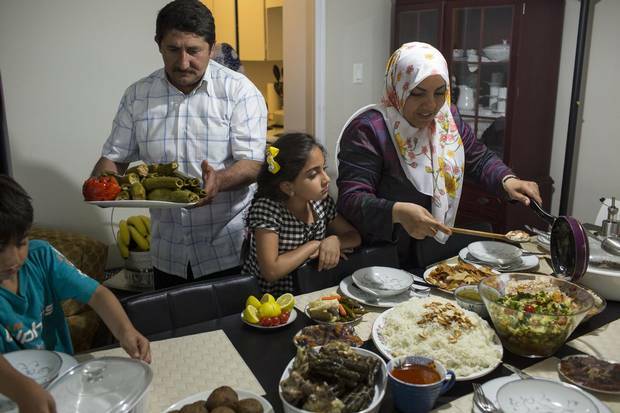 Aliye, 38, and Omer, 46, have cooked 25 dishes for their guests, to break the day's fast on the first night of Ramadan. The table's as crowded as the apartment: turret-shaped lamb patties cooked with mint and pine nuts, rice with toasted almonds, aubergines stuffed with lamb and rice. That's for openers. Aliye is a gifted cook, and Omer made his living for a while as a chef in Turkey. Live Ramadan services from Saudi Arabia are playing in the background on the TV. Everybody pitches in for a Ramadan dinner – both Omer and Aliye are skilled in the kitchen. They've invited the core of their sponsor group, the private citizens who stepped up last fall as Prime Minister Justin Trudeau pledged to bring in 25,000 Syrian refugees, helping to make Canada the second-most-generous country in the world last year in terms of all resettled refugees, after the United States. (Which doesn't change the fact that 86 per cent of all refugees are still hosted by poor and developing countries.) Now that there are more than 60 million displaced human beings wandering the globe (according to the UN this month, one out of every 113 people on Earth), Aliye and her sponsors are embarked on one of the more daring (some would say risky) civic experiments this country has undertaken, a project that asks sharp questions in the age of non-stop second-wave terrorism in the time of Trump and Orlando and Brexit: Who can be Canadian? Should some people not qualify? 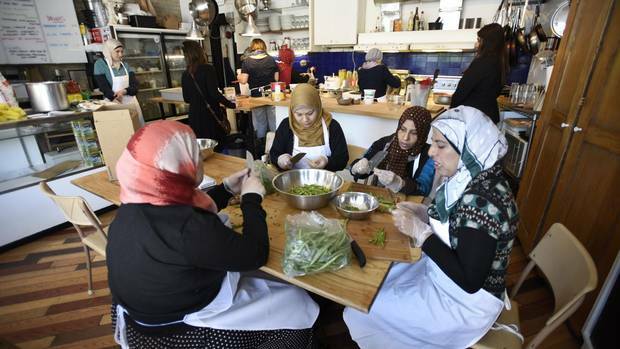 How much do refugees have to behave like other Canadians? And what does being Canadian mean any more, anyway? It's a gorgeous evening washed with the grave light that follows a thunderstorm. A rainbow has appeared off the eastern end of the balcony. It's too corny to be true, but it is true. Aliye is sipping water and nibbling dates – the traditional way to break the Ramadan fast, because that's how Mohammed broke his – when her phone rings. Her ring tone is the adhan, the Muslim call to prayer. It's not one of the two new iPhones her sponsors have donated, but her old, cracked phone, the one that contains her past in Syria, the place she still longs for. She looks down at the phone. It's a WhatsApp message from a former teacher in Aleppo, before Aliye had to abandon her studies, in nursing, to feed her family. Aliye hasn't heard from her in a long time. But the bombing has been especially fierce in Syria these past few days. When the cracked phone comes to life, the news can go either way. Aliye presses the screen, reads. Syria is seven hours ahead; it is the middle of the night there. A bomb hit her apartment this morning. She starts to weep, quietly, as is her habit, wiping tears behind her hijab before they have a chance to be seen. They can be seen anyway. Now, this new place, high in this new building in this new city in this new country she does not yet know, is the only home she has to be from. Whatever else an outsider might call the band of Torontonians who sponsored Aliye and Omer Suleyman as refugees – privileged bleeding hearts and citizens who don't know how else to address an unsolvable world are two options that come to mind – the sincerity of their commitment is undeniable: They had begun talking about adopting a Syrian family last June, three months before three-year-old Alan Kurdi washed up on a Turkish beach and the soon-to-be-elected Mr. Trudeau promised to take in 25,000 Syrians. They had no illusions about themselves: The sponsors were, as one of their number put it, "the most earnest group of people you've ever met." There were 20 of them in all, with a core group of six: upper-middle-class professional types (doctors, lawyers, teachers, advertising executives, social workers, architects) who lived in Hillcrest, a comfortable but unflashy neighbourhood near St. Clair Avenue and Bathurst Street in midtown Toronto (average household income: $116,008). Their tastes tended to hydrangeas, good furniture, and paintings of the Canadian landscape. The Hillcrest group had coalesced around John Sewell, the left-leaning former mayor of Toronto, after he mentioned to his neighbour, Mary McConville, a formidably organized 68-year-old former executive director of the Catholic Children's Aid Society of Toronto, and her husband, Lawrence Marshman, 72, a retired high-school vice-principal, that he wanted to sponsor some Syrian refugees. From there, the group began to grow like a rogue Virginia creeper. Mary's daughter had walked Mr. Sewell's dogs, as had Jane and David Gotlib's boys; through them, Mary knew of (but did not know) Jane. Jane, in turn, knew neighbours Mary didn't: A lot of people in the group were private types, and met for the first time at its first meeting. Mary and Lawence were Catholics, others were Anglicans and Jews; none of that mattered. 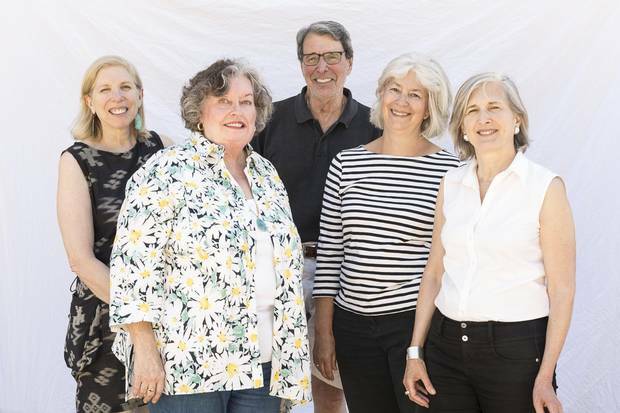 From left: Sponsors Jane Gotlib, Mary McConville, Lawrence Marshman, Carrie Clark, Catherine Tanner. By midautumn the Rosedale United Church was teaching the group how best to resettle refugees. There are three ways this can happen: as privately sponsored refugees (PSRs: Canada is the only country whose immigration laws mandate its citizens' right to do this); as federal-government-assisted refugees (GARs, no private involvement); and, in rarer cases involving disabilities and unusual needs, through a combination of the two known as BVORs, for Blended Visa Office-Referred refugees. Which was ironic, because raising private money for the Syrians turned out to be as easy as melting butter in a pan. The Hillcrest group had $40,000 in hand in a scant six weeks (no one knew how much anyone else in the group had given). Other groups moved just as quickly. 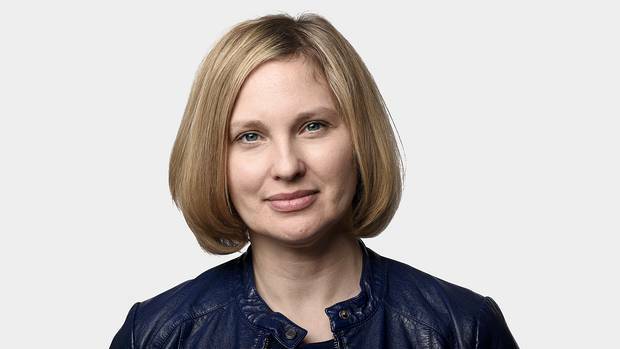 A posse led by Valerie Pringle, the broadcaster, bagged $130,000 with a single group e-mail she sent to 50 people. Not that anyone was being competitive, but photos of freshly furnished flats began to make the rounds on the Internet, as groups compared their handiwork. And it wasn't just Torontonians who stepped up. Among other communities across the country, Cape Bretoners put in a request for 1,000 refugees. But the first wave of Syrians had only just arrived in December, when the tide begin to ebb. Many families that had been expected to arrive by then, it was learned, would not be showing up until February, or even a year later. Various culprits were fingered for the delay: processing slowdowns at the supply end in Turkey and Jordan, the famously stubborn bureaucracy of the Department of Citizenship and Immigration, the unequalled number of refugees being pushed through the suddenly overburdened Canadian pipeline, and – this was equally important – the sheer number of sponsors who had stepped forward to absorb the available refugees. More than one settlement agency warned that the government had promised too many refugees too soon. There were even claims that Syrians were one cause of the delays: Some didn't want to move as far away as Canada. The chronic constipation of the global immigration system, however, wasn't about to stop Mary McConville and company. They could have organized D-Day over recess. They split zygotically into a slew of subcommittees: liaison, logistics, housing, finance, education, resources, employment. While Mary and others scoured potential apartments in four neighbourhoods, Lawrence and his team searched for schools. Heated debate – or, given the well-bred nature of the group, a lightly steamed argument – broke out over whether the Suleymans should live close to the group, which would mean good connections to the support network but a dearth of halal butchers and Arabic-speaking classroom assistants – a choice favoured by Mr. Sewell – or closer to an Arabic-speaking community. The latter view prevailed. Meanwhile, Jane Gotlib and others solicited furniture and clothes from volunteers. So much stuff was proffered, she created a registry to track what the Suleymans still needed. "We had to say, if the line item is filled, we don't want another one. People just want to get rid of their stuff so they can go out and get more stuff," one of her team observed. Jamie Goad, an architect in the group, convinced his partners to donate furniture from a model suite in a condo development, whereupon a dazzling white leather couch with orange throw pillows and a co-ordinated rug materialized in the new Suleyman apartment, to say nothing of dining-room furniture and groovy coffee tables and four semi-abstract landscapes in soothing blues and greens. Other gifts and purchases netted a wall hanging, a queen bed, bunk beds, curtains, bedsheets, a microwave, dishes, pots, pans, blender and Cuisinart. "They were turning away carpets because they didn't go with the couch," a group member remembers. They stocked the refrigerator, too, from a Middle Eastern supermarket. Hillcrest students prepared a welcome manual as part of the care package for the Suleyman family. No wonder Aliye and Omer Suleyman and their three children, Esra, who turns 13 next week, Meram, 8, and Suleyman, 6, were installed in a fully outfitted apartment the afternoon after they arrived. But the group was just getting started. The six core members met every two weeks, with two-page written agendas and e-mailed follow-ups. Medical checkups and immunizations? Arranged and chauffeured. ESL lessons? Booked. After three years of war stress and no dental care, the Suleymans, like many Syrians, were experiencing a crisis of their own: The group instantly raised another $6,500 for all their dental work, but a dentist pal of the group's refused to take payment. Omer got a new set of teeth. "It's a bit like being a parent," Ms. McConville said, and you could tell she liked having that challenge all over again. Most of the group put in four to five hours a week at the outset; the core were committing more than 20 hours each. Every other weekend saw a new outing, and a full report on the outing afterward: the zoo, a farmers' market (at minus-30 degrees), the Aga Khan Museum (a hit), the Ontario Science Centre, a streetcar ride around downtown with Mr. Sewell. David Gotlib, a psychiatrist and software developer, handled phones and computers and WiFi. He is a total and discerning gearhead. In his third-floor study, arrayed and lit up around his computer, are the original helm and operational panels of the USS Enterprise used in the Star Trek: The Next Generation TV series, one of his long-time obsessions. David saw a direct connection between distant galaxies and the Syrians: "Star Trek," he explained, "is about building a utopian place where they've eliminated hunger, want and need from everyday life, and have dedicated themselves to improving the world and the lives of others." And the budget! Thanks to private sponsorship, the budget was a miracle. Life in the city is expensive. The Suleyman's rent is $1,270 a month. Let's say food costs another $800 a month; then there's subway passes and tickets, $367; incidentals and clothing, $300; telephone, $132 for two plans; Internet and cable, $85; medicines and medical costs, $100; hydro, $80. To offset that, the government pays refugees like the Suleymans a $1,486 monthly stipend, for six months (government-sponsored refugees get it for a year), and $1,350 a month in ongoing child tax credits. That would leave them in the hole. But the group tops up the total, to make sure the family has $2,000 a month, after Omer and Aliye have paid the rent. "We said, 'If you don't spend the $2,000, keep it,'" Jamie Goad told me at one of the group's monthly meetings. "But we don't know if they're saving it." To ask, he felt, would be intrusive and condescending: There is a thin line between doing too little and too much. It's a dilemma the group discusses a lot, the need to be careful, as Ms. McConville puts it, "not to overwhelm the family with our privilege. To be mindful of our personal needs to do good." Oh, they were definitely liberals. But if the Suleymans don't spend their child tax credits (Aliye is famously frugal) and if they don't send extra money back to Syria ("They've asked us so many times if they can," a member of the finance committee says), and if they are lucky and don't have any major unexpected outlays, they could – and please note the extreme conditionality of the phrasing – have somewhere between $12,000 and $18,000 as a cushion at the end of their first year in Canada, just as the group steps away, financially. The Suleymans in their new home: Are they here for good? They'll need it. "Without our contribution," Mr. Goad said, "they'll both need full-time minimum-wage jobs to have the same level of income they have now with our contribution." Will Omer and Aliye be able to survive outside the group's reassuring embrace? Without, especially, its generous financial support? That was the Hillcrest group's only other disagreement: Some thought the core members were coddling the family – a habit all the settlement agencies warned against. The Suleymans rarely took the subway, for instance, because the core group drove them pretty much everywhere. Mary knew it was an issue. "We want them to become independent," she said. "We want them to do that. But it's [a matter of] judging if they're ready." One complicating factor was that the Suleymans were becoming friends, even family. As the spring progressed, Aliye began to remove her hijab in Mary and Jane's company in the apartment. "It makes me start to cry even thinking about it," Ms. McConville said. She couldn't say why. Of course, they didn't tell anyone else in the group. They didn't want the others to feel left out. Aliye and Omer spend five mornings a week in ESL classes at the Gooderham Learning Centre, a converted school in Scarborough. (Roughly two-thirds of government-sponsored Syrian refugees and a third of the privately sponsored ones speak no English or French.) The halls are unnaturally quiet and peaceful: There are people from all over the world here, and no one group can understand the others. The incoming class of Syrians was so big by March that an extra class was added. Omer is Beginner Level 1. (University-level English is Level 9. Journalists operate at Level 12 – just saying.) Celia, his teacher, is a lively woman in her 60s. She uses pictures geared to practical life to promote task-based learning. There are nine people in the class, from such places as Cameroon, Pakistan and Yemen. Only one person, from South America, can read the Western alphabet. Celia introduces today's lesson, a script with pictures in which a man named Jerry has the flu. "Jerry is the name of the person," Celia says. "Jerry." "He has diarrhea, too," Celia says. "He goes to the bathroom all the time!" "What does he do?" Celia asks again. Very softly, so softly you can barely hear him, Omer says: "Telephone?" Which is not the worst answer! Who hasn't had the urge to call the doctor at certain moments of extreme indisposability? No one is grasping the concept of diarrhea, however, so Celia makes them repeat the word, loudly, six times. Finally, one of the women interrupts. "Excuse me. Diarrhea is – vomiting?" Celia: "No! Vomiting is [miming] bleeeaaagghhh." Again, the woman interrupts. "Teacher? Die-rhea?" Celia points to a picture of a toilet. "Ah, okay! Thank you, teacher!" Celia writes I have the runs. I have diarrhea on the board. Omer writes it down in his notebook. This goes on for half a day, five days a week. ESL programmers hope the newcomers will stay in class at least six months and as long as two years to acquire workable English skills. Celia has no doubt that Omer – whose formal schooling ended after Grade 8 – will speak, and maybe write, in English; he's bright, and not afraid to put up his hand and make mistakes: "If he goes to work [sooner], he may be able to speak the language. But he will not be able to read and write if he drops this for work." Postwar Greek and Italian immigrants were urged to work as soon as they arrived, hence their frequently broken English thereafter. The group uses volunteer translators to converse with Omer and Aliye, which adds a layer of complexity to the simplest appointment. In a pinch, everyone falls back on WhatsApp and SayHi, cellphone apps that automatically translate short bursts of English into Arabic and vice versa. But the apps default to the Arabic of the Koran, which is archaic and obscure. One out of three translations hits the mark. One afternoon, I met a Syrian man named Yasir Shaghouri. He's a cement artisan – he can make concrete look like wood or marble or a copse of trees, or anything else. "We create these in the residences of wealthy people," he told me, via SayHi, which translated his sentence as only the often anti-capitalist Koran would: "We make this in the homes of idiots." The sponsors photograph the Suleymans wherever they go in the city, and the Suleymans smile in every shot. Without the ability to speak directly, however, it can be hard to know how well they are settling in. But the Suleymans are full of bracing surprises. When Omer and Aliye register for their health cards, the clerk asks if they want to be organ donors. Islamic scholars are divided on the permissibility of organ transplants, although compassion and saving a life trump doctrine. For that reason live transplants tend to be more common in Islamic societies than the use of organs that have been harvested from dead bodies. It's a rich and complicated subject. In any event, Aliye declines. But Omer says yes. Aliye speaks to him in Arabic, and explains the situation, as she sometimes does. The translator checks twice, as well, to make sure Omer knows what is being asked of him. But Omer says yes again. "This is what they do here, in Canada," Omer replies. "I am in Canada." Other transitions can be more resistant. One evening, I met a Syrian refugee who told me the hardest thing to get used to in Canada was "the universal freedom that we've seen. When I go to the bus stop and see people smooching, I don't think this is freedom. This is immaturity. Freedom is no assaults, not being harassed. That's freedom." For her part, Aliye says, "I like the fact that I can practise my religion here and still be part of life and society." She may not feel comfortable speaking the language, but she completely grasps the principles of the place she has come to. Of course there is an alternate, more integrationist – some would say more American – approach to resettling the Syrians, which is to make them just like everyone else. Some Syrians want this more than their sponsors do. This afternoon, we're in a living room in the Annex in downtown Toronto, a traditional spawning ground of urban liberalism. A group of sponsors is sitting at a thick glass dining table. They have raised $55,000, have filled out a ream of forms, have requested a needy family, and, like many other groups, have waited longer than anyone anticipated for their family to arrive in Canada: So many sponsors have stepped forward, they have been informed, that needy families are in short supply. In lieu of waiting any longer, Lifeline Syria, an organization that matches sponsors to refugee families, has convinced them to support, instead, an incoming family with relatives already in Toronto. Today the group is meeting the relatives for the first time. Richard – who doesn't want his last name used, because of the sensitivity of the subject – has lived in Canada since 1988. His family was originally from Aleppo. His wife, Roula, joined him in 2001. He was a doctor in Syria and Europe, did postgraduate fellowships and research at the University of Toronto and the Hospital for Sick Children, and now runs a medical-executive recruitment business. He's a smart guy who speaks five languages, all very quickly. He has already sponsored Roula's brother to Canada; now, with the help of the group, he's bringing another brother, the brother's wife, their three children, and Roula's mother, whom Roula hasn't seen in seven years. Richard is looking over the budget that the group has prepared. "You don't have cable," he notes. "I didn't think cable was necessary," a guy in the group says, surprised. "They've been in a refugee camp for three years," Richard says. "They need cable." It'll help them learn English. An undeserved hint of shame passes across the sponsor's face. But Richard has already moved on. "Have you found an apartment?" They've been looking, the fellow replies, and have seen three-bedroom places for $1,600 a month. "Oh, come on!" he snaps. "They can't live there! It's a terrible neighbourhood!" Whereupon Richard designates the boundaries of an acceptable neighbourhood for his incoming Syrian brother-in-law, which is the neighbourhood in and around Toronto's tony, and not especially Syrian, Forest Hill. After he, his wife and their kids have driven off, one of the group sends an e-mail to another group member: So much for the huddled masses! A week later, in his downtown Toronto office, Richard is unapologetic. He wants his brother-in-law to get a good job, which means speaking English and acting like a Canadian. "For safety, Canada is the place," he says. But it comes at a price. Life is different here. "In Canada, it's stress for the money. The social life here is not the same. You work, work, work. That's Canada." That's why he doesn't want his brother-in-law and his family living near other Syrians. "I don't want him to be in the same category as immigrants who, 40 years later, still don't speak the language." "If you ask me," Roula says, "I would prefer to stay near Syrian people." "Then they're not going to learn anything," her husband replies. "I think if you're going to be Canadian, you should be with Canadians, act like a Canadian, speak like a Canadian. And be friends with Canadians." He pauses. "Yes, that's a middle-class view. Yes. You get better by being with better." He doesn't want his family dismissed as second-class, the way Arabs often are in Belgium and Germany; he wants Syrians seen as equals, with equal opportunities. "If you want to be successful in this country, you have to stay outside your community, and work with other communities, and with other cultures." Let me take you briefly to the other end of the chain of refugee being, to a cramped budget motel in the heart of Toronto's downtown Chinatown. This is not a crisp, two-bedroom apartment furnished in the latest style. But it is where Shadi Qablawi and hundreds of others spent weeks with their wives and children when they arrived in Canada, because they were refugees without private sponsors. Government-sponsored refugees tend to be poorer than privately sponsored ones. (Short explanation: Money buys access.) They spend more time in refugee camps. They tend to be less educated than privately sponsored families – 40 per cent of the government-assisted refugees under 14 who have settled in Canada have no education, and 68 per cent of the adults have only high school or less. Under normal circumstances, arriving in Canada as a government-sponsored refugee is a daunting, somewhat doleful, but predictable experience. The federal government contracts an outside agency to resettle the GARs. The refugees arrive and live in an airport hotel for a few days while the agency finds them an apartment and delivers a standard set of furniture: one velour armchair with matching sofa and loveseat, depending on the size of the family; one hideous faux-McIntosh metal-and-glass dining table and six chairs; bed frames and mattresses. It's not a huge package, but there are lots of public agencies to help the newcomers settle in. But the Syrian resettlement crisis of 2016 was not a normal circumstance. The government had made an election boast, and the public had responded in kind; settlement agencies were overwhelmed. 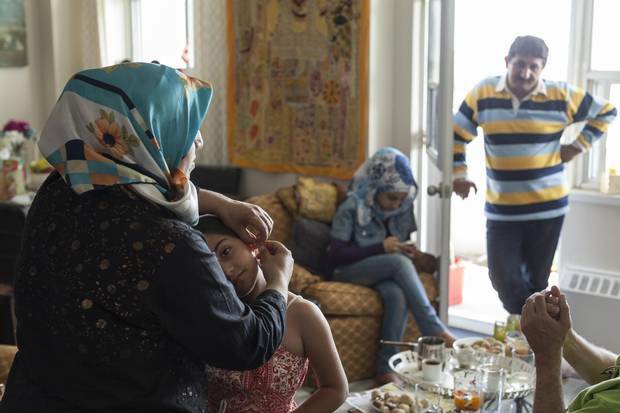 There especially weren't enough apartments to go around: By the end of February, almost half the Syrian refugees who had arrived in Canada in the previous three months hadn't found permanent housing. And so, many government-assisted refugees spent a month and more in budget hotels near the airport, and downtown. They got to know each other, made friendships, they ate for free, but it wasn't walking into a furnished apartment surrounded by people longing to be your friend. Yet, it was also in the downtown motels that the Syrian GARs met the Torontonians who saved them. There was nothing planned about this, which is possibly why every Syrian I met who passed through the hellish hotels spoke of their saviours the same way: They said Allah sent them. Virginia Johnson was one of the first of the saviours. A mother and successful textile designer, Ms. Johnson had helped a group of fellow parents raise $45,000 to privately sponsor a Syrian family. She, too, was waiting for this much-delayed family and trying to maintain her enthusiasm for the Syrian refugee cause when she began to hear stories of packed downtown hotels. Ms. Johnson started hanging around the lobbies of the hotels, talking to the settlement agencies and taking down the names and numbers of the refugees. They all seemed to have Syrian or Lebanese phone numbers. Then she called John Sewell – she'd heard he was involved in a sponsorship group – and other friends she knew who were impatiently waiting for their backed-up families to arrive. She developed a checklist of tasks she could perform for the de facto second-class refugees: help them find an apartment and become its guarantor; get some food in the fridge for their first days in their new apartment; take them to their medical appointments. The list got longer quickly. In one of the downtown hotels, Virginia met Shadi Qablawi. He seemed to know everyone. He'd been living in the hotel with his wife, his three children, his mother, and his little sister, for 40 days. Ms. Johnson introduced him to a couple who helped him find an apartment. He was from Damascus: Middle-class men from Damascus tended to be able to speak more English, and Mr. Qablawi was Level 3 in ESL. In Damascus he had worked as a cook, a taxi driver, and an electrician. He lived in a mixed neighbourhood of Sunnis (of which he was one) and Alawites, the Shia clan of President Bashar al-Assad. (Between 60 and 80 per cent of Syria's Muslims are Sunnis.) In June of 2012, one of Shadi's Alawite neighbours went away for a few days, and someone burned his house down. Then the Assad regime came for vengeance. Mr. Qablawi was tipped off, and slipped away with his family the morning of the day the army arrived. At least 25 people died in the ensuing slaughter. Witnesses who examined their remains said the victims' hands had been tied behind their backs while they were burned alive. Shadi Qablawi went to the south of Syria, and made his way from there into Jordan. Nothing is far from anything else in the Middle East, one legacy of the cavalier way colonial powers carved up the region after the First World War. (The Syrians see Canada as dauntingly huge by comparison.) A Jordanian let him live in an unfinished apartment, and he found a job in a gas station. Six months in, he registered as a refugee with the UN. Three and a half years after that, his number came up. A processing officer asked him whether he would consider moving to Canada. What did you think of Canada, I asked him. "I see Canada, is good. I heard about Canada, very good. High income, very good. And America, very much murder. Here is peace, and government control country." I loved listening to his English; it was full of pace and space. What he liked most about "this country, it has rules." With the stipend he receives for himself and his wife and his mother and sister, plus tax credits for his three children, and by shopping at No Frills and visiting the food bank every week, the Qablawis can afford, for now, to live in a two-bedroom high-rise apartment in the west end of Toronto, and go to school every morning to learn English. Not all the government-funded refugees are so fortunate. One evening in the east end, out on the Danforth, past the mosque and the Dollarama store, where the cash-for-gold stores begin to proliferate, in a building that sat up above the rest of the street like a giant brown wall, I met a government refugee named Asaad Al Jawabrih. He and his family had spent a month in the hotels, and had been saved by another of Virginia Johnson's good Samaritans. Asaad had been a farmer and casual truck driver in Syria, and now, in Toronto, at 27, with a 20-year-old wife and three children, had no trade to speak of. "I want to learn a trade that doesn't take a long time to learn," he told me. I wanted to tell him it usually doesn't work that way here, but I didn't have the heart. He receives roughly $3,100 a month from the government allowance and child tax credits. But rent takes $1,400. When the allowance of $1,600 runs out next February, after a year, social assistance will kick in, at 25-per-cent less than the stipend, if he doesn't have a job. He had a haunted look in his eyes whenever the conversation turned to money, but (like every other Syrian I met) thinks Justin Trudeau is a hero. If you ask him if his wife might work, he will say, "I think she does better looking after the kids." The youngest is four months old, too young to be in daycare – which means his mother can't even attend ESL classes. Thanks to the good Samaritan's sponsorship group, a tutor comes to the apartment instead. They all want to go forward, as much as the YouTube videos of prewar Syria they play over and over on their phones pull them back. Just talking about Syria pains Mr. Qablawi. His brother-in-law's wife has been missing there for two years. People in Damascus are eating grass to survive. At least 20 of his friends have died in the uprising, including his best friend, who happened to be visiting a nearby town when the army invaded, and as a result wasn't able to see his wife and children for two years. He was eventually shot by an army sniper. His name was Mahmoud. 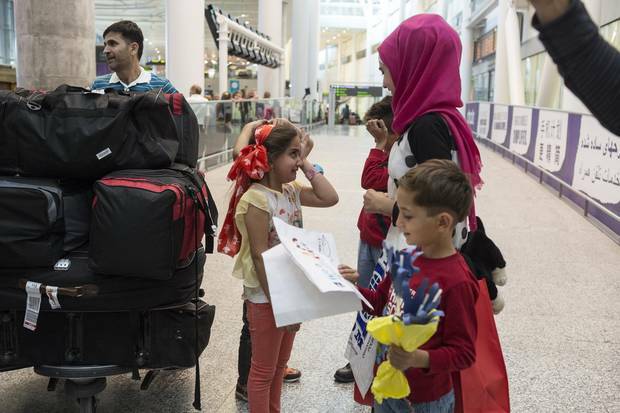 "He stayed in Syria," Mr. Qablawi said, "and I came to Canada." 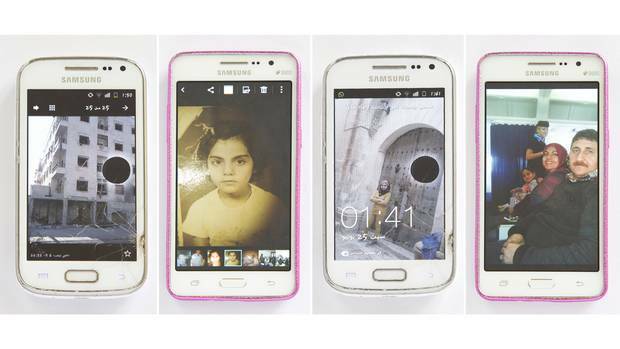 Cellphone images the Suleyman family saved along the way, from left: A capture of the second-floor apartment the family left in Aleppo sent hours after it was struck by a bomb on June 6, the first day of Ramadan; Aliye at the age of 6, on her first day of school; daughter Esra, 12, in a doorway after visiting her aunt Iman, shortly before leaving Turkey for Canada; son Suleyman, 6, with a flight attendant and his parents over the Atlantic during the long flight from Ankara on April 29. Here, where everyone has less of a past, he can look forward. He recently passed the test for his driver's licence, on the fourth try. ("The problem is not the driving," he says. "I know how to drive. But here you have laws.") He recently reached Level 4 in ESL, and is keen to get to Level 7, which he hopes will help him obtain his Canadian electrician's ticket: He's looking for an electrician he can apprentice to. "I must learn, to take better job. If I go to work now, I can take $11 an hour. But I will stay forever $11 or $12 an hour. But if I learn electrician, in two or three months, I will earn a lot more." He'll be a poster child for the middle-class dream, if the rules let him move that quickly. He is even beginning to question whether he will ever return to Syria, as so many refugees long to. "Now, we begin from zero here. So if I came from zero to seven here, why go back to zero again? But in Canada, if I arrive to seven, maybe I will go to 10." And if he doesn't? How long will Shadi Qablawi and Asaad Al Jawabrih and Omer Suleyman and Yasir Shaghouri have to be here before they can feel they belong here? And if they don't – if they cannot feed their families, if they cannot find meaningful work, if they cannot feel themselves rising toward a decent standard of living in the lust of want that is North American capitalist life, and see their children begin to integrate into the Canadian dream – is there any danger they might become radicalized? That possibility, remote as it is, is part of what makes the Canadian resettlement of Syrian refugees such a daring civic experiment. "Both Muslim and non-Muslim communities will say that integration is the most important thing," Virginia Johnson points out. "So they need to connect with their old culture and the new one. They need to be exposed to their new culture while remaining connected to their old one." Shadi Qablawi told her so himself, when he discovered there were three other Syrian families living in his new west-end building. "Just right," he said. "Not too many, not too few. I don't want to be only surrounded by Syrian culture." Playwright Michael Healey, another impatient private sponsor who decided to help government-assisted refugees, noticed the shade of that fear when he first told people he was helping a Syrian family settle. "That fear is the fear of the other," he told me one evening. "And the only thing that assuages that fear is familiarity. I spent so much time with them, I know that they're not a sleeper cell. The only thing that overcomes the fear of the other is the thing beyond tolerance – a degree of intimacy. Once you get to know somebody, that kind of fear subsides. And what's the project of Canada if not that? This is a stolen land taken over by immigrants who are only here through increased immigration. And so you'd better get right with the other, because that includes you." To thank their core group of sponsors, the Suleymans prepared a special Ramadan meal – a veritable Middle Eastern banquet. When visitors come to the apartment to chat, Aliye cooks, regardless of whether they want to eat: sambousek (spiced meat in baked pastry), kibbeh (spiced meat in fried pastry, even better), fatoosh (bread salad), hummus, labneh (strained yogurt), crowns of new romaine standing in big glass bowls of tabbouleh. She also cries. It never lasts long, is always discreet, but it happens regularly. Mary McConville wonders if it's trauma from the war. Thirteen-year-old Esra laughs when it happens, though she tries to hide that: a nervous reaction to a sad reaction. Esra seems impossibly poised, but Aliye worries most about her: She is bright but shy and hasn't been to school for three years because of the war, and is now 13 going into Grade 7. Lively Meram, who is a math whiz, speaks the best English. Suleyman is in senior kindergarten and also good at math and wants to be Batman or possibly Spider-Man – so far he is undecided. Aliye hopes they all become doctors. She wants them "to give something back." Her crying is unpredictable, like a new leak in the plumbing. Everything about her speaks to her openness, her warmth, her stout capability: She has deep brown eyes, an instant smile, a slightly goofy but ready laugh. In a group, on an outing, Omer explores ahead, scouting the perimeter, while Aliye holds the centre, engaging and talking. It's now May, almost three months into the adventure: Settlement counsellors say this is when the dip comes for newly arrived refugees. The adrenalin wears off, and the narrow future in the unknown place looms longest. The sun comes out again – the phrase the counsellors use – at nine months. Aliye knows she has a lot to look forward to. Her sister Iman is coming; that's thrilling. They speak every day, "continuously," she says, about "everything." She and Omer are learning to pay their own bills – "It's exciting," she says, and you have to admire them for that – while the sponsorship group is monitoring the family assiduously. True, Omer worried about finding work every night when his head hit the pillow. Aliye scoffed and told him it would be okay. And in fact, he recently found part-time work in the kitchen of a fast-food chain. Even the weather is warming up. Aliye waits at Toronto’s Pearson International with daughters Meram and Esra, for the much-anticipated arrival of her sister Iman’s family, who also have moved to Canada. Today, in the bright living room of her pleasant apartment, Aliye is explaining how she got to Toronto. She had never before left Aleppo, Syria's largest city (two million inhabitants) and one of the oldest continuously inhabited cities on Earth, a famously cosmopolitan trading centre at the terminus of the ancient trans-orient spice route supplying Venice and the Ottoman Empire. It's mentioned in the Bible, many times. Janine di Giovanni, the war correspondent who wrote The Morning They Came For Us: Dispatches From Syria, claims the entire Syrian war has been writ small in the fight for Aleppo. Theoretically, the conflict was between Bashar al-Assad's regime, shored up by Hezbollah, and a roster of opponents that changed almost daily; but ordinary Syrians were caught between them. The first pro-democracy protests produced a brutal response from the Assad regime. A young woman in Aleppo at the beginning of the war told Ms. di Giovanni of being arrested for putting up revolutionary posters. She was stripped, blindfolded, tied to a chair, and told she would be passed from man to man. Before long, snipers on all sides made it potentially deadly to go to work or poke your head above a balcony. People developed theories about how many walls were necessary to stop a bullet or a missile (three), which in a Syrian apartment often made the bathroom the safest place to live and sleep. Then came the barrel bombings. There was no gas to cook bread, no electricity to watch TV or power a cellphone. People scoured public garbage bins for food. By the two-year point of the civil war, Omer was sleeping at work, to avoid the perilous commute; he saw Aliye once a fortnight at most, to give her his paycheque. One morning, returning to work, a sniper's bullet missed his head by inches. Aliye said, "Go: I'd rather not have you here at all than not know whether you are safe from day to day." He left to work full-time in Lebanon. He didn't see Aliye for nine months. She stayed on in the Aleppo hospital where she worked as a nurse, but found repairing wounds without anesthetic brutal, and twice barely escaped being kidnapped with Suleyman as they made their way back and forth through the streets: Rebel armies of all descriptions were snatching women and children – she claims to have seen it many times with her own eyes – and forcing them to pay bribes to be released. In her sister Iman's building, a local faction of extremists commandeered an entire floor to house the women they kidnapped, whom they then raped at will. One day a bomb went off unexpectedly and Suleyman, who was 3, fell from a second-floor balcony and landed hard on his wrist. At the hospital, the doctors wanted to amputate his arm. Aliye took him to a private doctor instead, who splinted his arm and saved it. She cries quietly describing the event, even though he is fine – he doesn't like anyone to touch his hand, but he's fine – just as she cries describing the death of friends or her father's recent heart attack in Aleppo, or even Mary McConville's immense generosity. A year and three months after Omer's departure for Lebanon, Aliye's father handed her a sum of money and told her to use it to leave Syria. "It was so bad in Aleppo, and very dangerous," she remembers, as if apologizing for abandoning the Citadel. "My father got a loan, and put me in a car, and said, 'Just go.'" Omer had no idea this was happening; they had no way to contact each other. "We had to go through so many villages to get to the border. And everybody wanted to exploit us." She gave the last of the escape money her father had given her to a man who claimed to have a deal with a Turkish border guard, but he disappeared with the cash, leaving her on the Syrian side of the border with three children in the middle of the night. She was about to turn back when another traveller advised her that she would be killed or kidnapped if she did. She started to cross over, and crawl under, the razor wire at the border. Meram cut her leg and screamed, and the Turkish guards began firing into the darkness. (Sixty Syrian refugees have died crossing the border into Turkey this year, 11 last week alone.) At one point, lying in a gully, hiding the children under her body, a border guard's boot a few feet from her face, Aliye told the children to stop breathing. She cries again at this part of the story. And then, somehow, they were through. They were lost, but they kept walking until they came to asphalt and heard a dog barking. "We have to follow the barking dog," Aliye told the children. More tears. Meram has to wipe tears from her eyes as she reconnects with her aunt and cousins. Pearson is where the Suleymans arrived as well, after a scramble to get out of Syria, and then Turkey. And yet. Despite these memories, she hankers to return to Syria. She and Omer – who later joined them from Lebanon – argue about it in their good-natured way. "People come here, they live here for 20, 30 years. Why would you want to go back?" Omer asks. "Nobody can stop me if I go," she replies. "Yeah, you can go," Omer says. "But I don't want you to go." 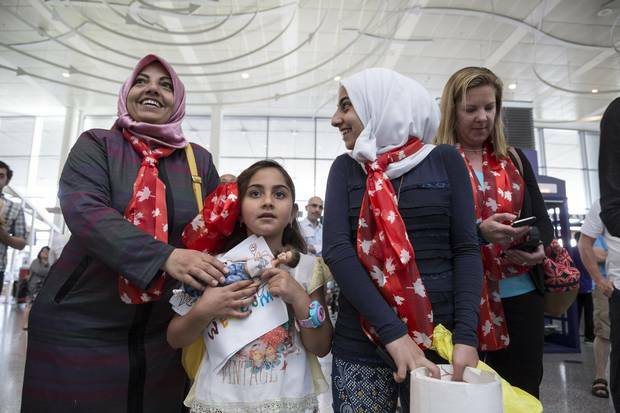 Even at the airport in Ankara, on their last day before coming to Canada, she thought of turning back to the struggle. The great struggle, I mean, the one everyone fights, between the human capacity for evil that allows some people to burn other people alive, and the capacity for good that tries to stop them. Some people must fight that battle standing right next to the ones who have chosen to let evil win, while others fight it almost as fiercely from far away, in well-kept houses with hydrangeas and paintings. Look, there is a lot I have not told you that I encountered in my weeks with the Syrian refugees and their minders. I have not told you about the moment Iman and her family arrived at the airport in Toronto at the beginning of June, and how Osman, her youngest son, ran to the high glass barrier between him and his Aunt Aliye, and how Aliye, not a tall woman, somehow reached over and pulled him into her arms and they both exploded into tears with an intensity I have never seen before, so fierce with longing and relief, and how everything seemed to be a step closer to happiness for Aliye after that; or about the way Omer held his younger brother Ahmed, who is Iman's husband, for the longest, longest, longest time after he walked through the arrival gate; or how both couples bunked down in the same room at Iman's new apartment that first night, and stayed up until 5 a.m. talking; and how Omer and Ahmed played soccer a day later at a picnic as if they'd never stopped; about how sublime the normal and the everyday can seem. I have not described the forensic firmness of the gorilla grip Mary McConville and Jane Gotlib exert on plans and details, or the way Aliye says "grrroop" for group, and "Merrry" for Mary, and "Chane" for Jane; or the mild crush many of the women in the group seemed to have on Ghassan Shamseddine, the slim Lebanese translator they used, who was handsome and urbane and, they said, was able to relate both to the refugees and to them. I have not mentioned the desperate boredom in Asaad Al Jawabrih's eyes, as he longed for something useful to do, while his squirming children and young, beautiful wife clamoured for his attention in their empty apartment with the pictures hung crazy high, so the kids couldn't wreck them; or the way all the magnetic coloured fridge alphabets and young children's board books donated to help the refugees learn English gave their apartments a jolly Romper Room air, as if recess were always just around the corner. I haven't mentioned the spotlessness of a Muslim kitchen; or the way latecomers to evening prayers at the Masjid Usman mosque in Pickering, on the suburban rim of Toronto, touched their ears and joined the rows of kneeling men, after hours of packing welcome kits for the Syrian refugees; or how, after watching those dozen people in hijabs and skullcaps fill plastic laundry baskets with oil and pita and onions and spices and rice, and buckets with cleaning supplies and mops and toiletries and Korans and prayer rugs, it becomes increasingly difficult to even imagine a Toronto mosque as an anti-Western indoctrination centre. I haven't described the countless bikes and strollers and coffee mugs and VCRs – VCRs! – and stuffed animals and rubber boots and boxes of detergent and skates and catcher's mitts (really? a catcher's mitt?) and board games and 20-piece kitchen knife sets that have been donated to the Syrians, all of which make you think Canadians are generous people until the sheer number and sameness of the objects exhausts you and makes you see how unbelievably spoiled we are. All those things happened, too. What I will tell you about is the Saturday afternoon Jane and her boys took the Suleymans to see the bats and the dinosaurs at the Royal Ontario Museum. Omer walked ahead, filming everything – "It's like live coverage," Ghassan, the translator, said, laughing – while Aliye examined the diagrams and exhibits. The kids touched everything they were allowed to touch. They loved the stuffed lion, and the birds. Aliye became pensive in front of the reconstructed mastodon, a hairy elephant that lived in North America 12,000 years ago, which is a long time even by the high historical standards of the Middle East. "I am thinking about how lucky my kids are to have this opportunity, versus the kids in Syria," she said. Meanwhile, Omer was obsessed with the fish in the Great Lakes Marsh exhibit. It turns out a lot of Syrians love to fish. Then Jane said: "We're gonna hit Egypt, and leave." She looked tired. 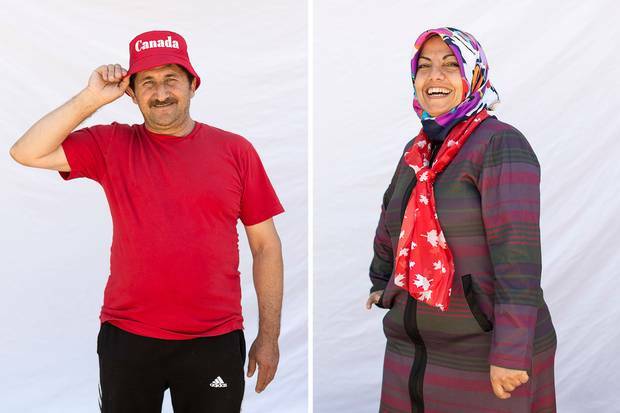 Outside on the street – it was one of those weird freezing days Toronto had this spring, colder in May than it ever gets in Syria – Suleyman spotted a souvenir shop. One of those places chockablock with Canadian flags and maple-sugar candy and ceramic Mounties. He immediately started to sing O Canada. I am not making this up. Will Gotlib, Jane's 15-year-old son, a fan of movies and space and vast, sophisticated Lego structures, was watching him from a doorway. "I have a very different experience, looking after my relatives' kids," he said. "With these ones, it feels like you're" – he searched around for the words – "making them happy a different kind of way. Also, you're showing it to them for the first time." He paused again. "It's like you're returning to your own childhood, that sense of wonder." I thought he got that right. Like having a chance to do it over, a new way. Editor's note: An earlier version of this article incorrectly said Ms. Johnson's first name was Victoria. In fact, her name is Virginia. This version has been corrected. An omen? 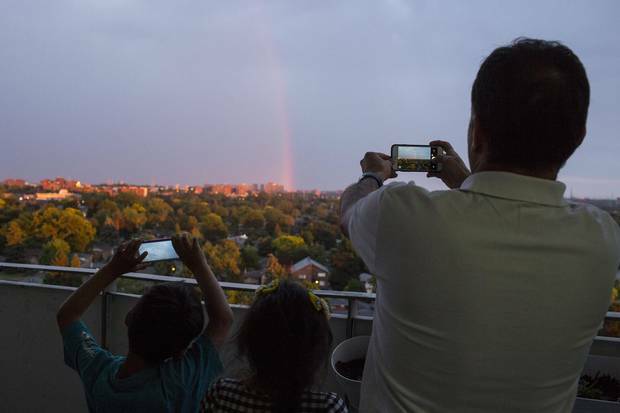 During the special meal prepared to break their Ramadan fast, the Suleyman family suddenly spots a rainbow from their balcony.